You need to change your filters regularly, so you can continue to enjoy healthy air and keep your humidifier in good condition. 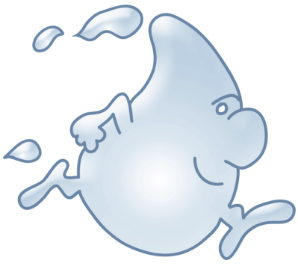 The frequency of changing depends on the quality of your household water supply and how often you are using the humidifier. There are many different types of humidifier filters. Check your user manual or the manufacturer’s website to make sure you know what type you need to buy. Some filters can be cleaned and reused, but many require replacing. If you have a whole house humidifier installed in your home, you will need to change the filter at least once during the winter/heating season when it is being used daily. Whole house humidifier filters are often referred to as water panels, water pads, or evaporator pads. They hold and distribute moisture as the air passes through. Particles, dust, rust, and mold can build up on the filter over time. This decreases the performance of the appliance as well as puts your health at risk by exposing you to unhealthy air. If you live in an area with especially hard water, your filter will require changing more frequently—perhaps a few times in a season. If a filter or water panel has dried out over the warmer months, it can have a moldy or musty smell when it gets wet again. This means, once you turn it on for use in the winter, the smell can travel all through your home. To avoid this, it is a good idea to replace the filter at the beginning of the season to eliminate issues with any lingering mold or other impurities. It is not advisable to clean most whole house humidifier filters because it removes the cellulose layer. This layer is very important, as it is what the water droplets stick to as they go through. If you do not frequently change the filter or water panel, your whole house humidifier can also end up leaking, which causes damage to the unit. When you change your whole house humidifier filter, always turn off the power to the system. There will be a plastic frame holding the filter in place. Replace the old filter with the new one and re-fit the plastic frame. Console humidifiers are commonly used in living areas, bedrooms, and nurseries. 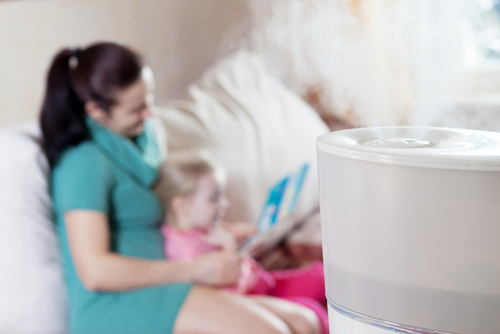 These humidifiers have small filters that remove or reduce particle buildup. The filters in these appliances should be changed at least every three months. 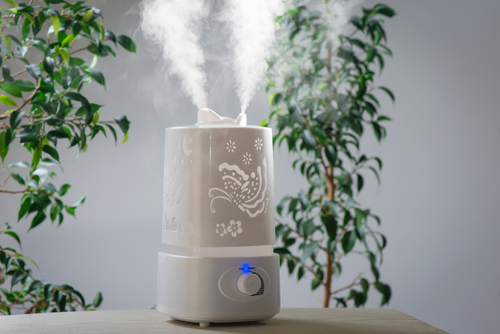 If you use the humidifier very regularly or daily, it should be changed every two months. If you live in a hard water area, change the filter on your console humidifier once each month. Most humidifier filters are treated with a mold repellant coating, but this does not completely stop mold growth—it will only slow it down. As a lot of people use humidifiers in bedrooms overnight, it is vital you are keeping the filters fresh, so you aren’t breathing unhealthy air while you sleep. If you are putting your humidifier in storage or not using it for an extended period, remove the filter and empty the water tank. Never leave an old filter inside the appliance, as bacteria and mold can grow on it. Check the filter regularly to assess whether it needs changing. 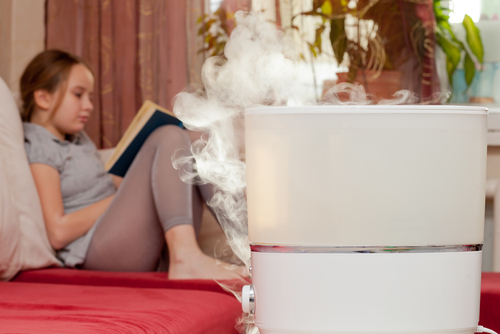 Some humidifiers come with an automatic filter-checking feature, which will alert you when it requires changing. As well as negatively impacting your health, a dirty humidifier filter is bad for the performance of the appliance. If the filters are blocked, it puts the fans and motor under strain. This can cause a reduction in performance or increase the operating noise, or the humidifier could suffer mechanical failure. Changing filters is an inevitable part of owning a humidifier, but it is not difficult, and you can take some steps to extend the life of the filter as well. Check them regularly, so you become aware of how long it takes for them to start becoming blocked. You should keep the exterior of the humidifier dusted and clean, which will reduce the amount of dirt that collects in the filter. Some filters can be vacuumed or soaked in water and reused. Check if your filter type can be cleaned or if it needs to be replaced.